For the third consecutive year, Junior WPH heads the handball coaching at Khalsa School’s P.E. classes in Tucson, AZ for the 6th, 7th and 8th graders. 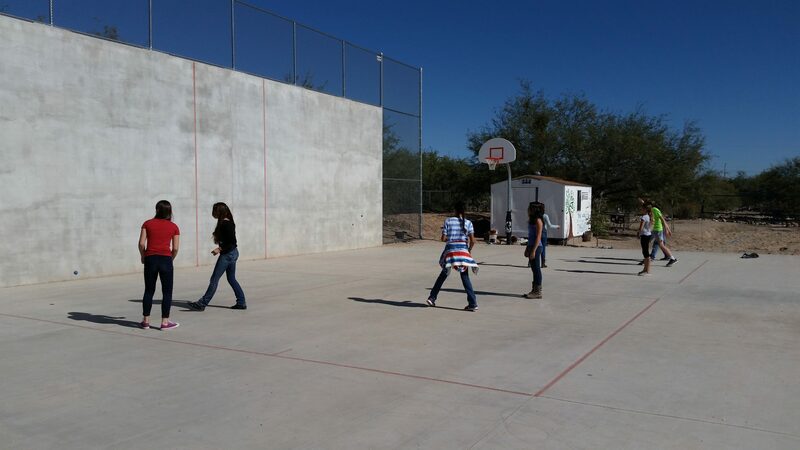 Each of the 60 middle school students are given the opportunity to learn and play 1-Wall handball throughout the semester on one of the country’s premiere 1-Wall court facilities at Khalsa School, one of Southwest Arizona’s most highly rated charter schools. The middle school students are introduced to each handball lesson with a specific handball warm-up and taught the proper fundamentals of throwing and hitting the ball with both hands. By the end of each lesson, the students are often serving and rallying with one another.